With Christmas just two weeks away, there&apos;s no better way to get into the spirit of the holidays quite like Colony Christmas in downtown Palmer. It truly feels like a "Normal Rockwellesque" celebration all weekend, with fun events that could even turn the Grinch into a fan of the holiday season. 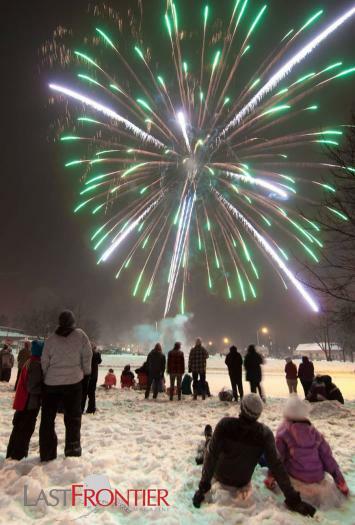 Every year, the Greater Palmer Chamber of Commerce puts on Colony Christmas, which has become a signature event in Southcentral Alaska. There truly is something for everyone at Colony Christmas. The fun begins on Friday, with craft fairs throughout the days in various locations, including the Palmer Depot, which continue throughout the weekend. These are a great way to get some Christmas gifts and support the small businesses at the same time. There&apos;s also a "Light Up The Night" holiday lights competition throughout the downtown area. On Saturday, Santa Claus will be at the Downtown Palmer Deli from 10 a.m. to 2 p.m. for photos. Throughout the day, kids games and events are being held at various locations as well. Many local businesses will have Christmas-themed events going on, including gingerbread house competitions, cookie contests and much more. From noon to 4 p.m., there are free horse drawn sleigh rides available, and snowmachine sled rides. After a full day of fun and events, it&apos;s time to sit back and relax at 5 p.m. as the "Parade of Lights" gets started. The winter parade is a Palmer tradition that brings everyone to the downtown area. Then, 15 minutes after the parade ends, the fireworks extravaganza lights up the Palmer sky. On Sunday at 11 a.m., the Colony Christmas triathlon takes place for those looking to burn off some of the holiday calories that inevitable. From 1 p.m. to 4 p.m., make your way to the Alaska State Fairgrounds, where Raven Hall gets transformed into a Christmas wonderland for the annual open house. Hobo Jim, Alaska&apos;s official balladeer, will be on hand to host the free family event. Live music, fireworks, a parade and fun for the whole family - it only makes sense to get to downtown Palmer this weekend! For a complete schedule of events, visit www.palmerchamber.org.